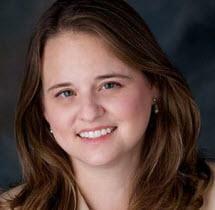 Christy Albano is Board Certified in Family Law by the Texas Board of Legal Specialization. She has also been selected for inclusion in the Texas Super Lawyers Listings since 2011. She started her practice with a family law firm in Dallas, then spent several years as a staff attorney with Legal Aid of NorthWest Texas where she fought for the rights of victims, children and the elderly affected by domestic violence in the areas of protective orders, custody, divorce, child support, spousal support and property division. She carried this experience to her solo practice in Collin County where she ensures protection of the clients rights while compassionately assisting them through what is often a difficult emotional process. She has earned the respect of her peers across the state and throughout the country. In 2006 through 2010 she was named a Texas Rising Star by the Texas Super Lawyer's publication of the Texas Monthly magazine, she was the 2005-06 Outstanding Director of the Year by the Texas Young Lawyer's Association, and she was awarded the Atticus Finch Award in 2006 by Legal Aid of NorthWest Texas. In 2001-2002 she was awarded the Outstanding Young Lawyer of Collin County Award from the Collin County Young Lawyer's Association and she was twice awarded the TYLA President's Award of Merit (2003-2004 and 2004-2005). She also continues to be the only law student whose article has been published in the Journal of the American Academy of Matrimonial Lawyers. This article, published in 1997 regarding arbitration and child custody, was cited in July 2009 by the New Jersey Supreme Court as a portion of "scholarly writing on the subject" in Fawzy v. Fawzy, 2009-NJ-0702.293. In addition to being an energetic member of many local, state and national bar associations, she is currently on the Nominating Committee for the Texas Bar Foundation, the Local Bar Services Committee of the State Bar of Texas, the Council of the American Bar Association General Practice & Solo Division, the Family Matters Committee for the American Bar Association Family Law Section, and the Board of Directors of the Collin County Bench Bar Foundation. She is a Past President of the Collin County Young Lawyer's Association, Past Chair of the District 1 Nominating Committee for the Texas Bar Foundation and Past Secretary of the Texas Young Lawyer's Association. Through her past work as co-chair for 4 years of the TYLA Family Law & Children's Rights committee, she was instrumental in the creation of the "Pro Se Divorce Handbook", the "What to Expect in Texas Family Law Court" handbook and the video "Kids In the Crossfire: Helping Parents Understand the Impact of Divorce." She was also executive committee advisor to the talented TYLA committee that created the Emmy Award Winning video and curriculum "They Had a Dream Too", an educational program designed to educate high school students about the role of students in the Civil Rights Movement and to encourage students to make a difference in their world. Christy Albano obtained a B.A. from Southern Methodist University in 1993 and a J.D. from the University of Missouri, Kansas City, in 1996.